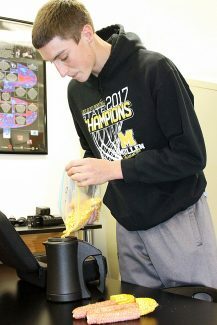 Luke Christen, of Anselmo, Neb., pours feed grain collected from local cornfields into a machine that will measure the moisture content. Two North Platte Community College students are conducting research that could potentially improve productivity for farmers across the nation. 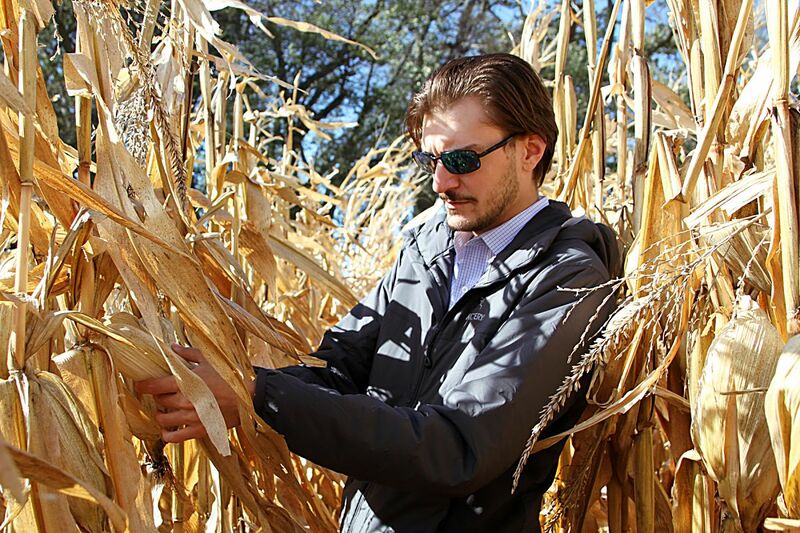 Luke Christen, of Anselmo, and Patrick Haynes, of North Platte, Neb., have spent the fall picking field corn and analyzing its temperature and moisture content. It's all part of an internship that NPCC physics and engineering instructor Jared Daily lined up through the University of Nebraska–Lincoln West Central Research and Extension Office. The collected data will be turned over to Iteris Inc., a California-based company that provides consulting services and produces sensors and other devices that record and predict weather conditions. It will also be distributed to local farmers to help increase yields. Not only has the project taught Haynes and Christen valuable research skills, but it has also introduced them to a branch of engineering they hadn't previously considered — agricultural. "I definitely want to go into some type of engineering, but I'm not sure exactly what," Christen said. "This internship allowed me to see another option that's available. I grew up on a ranch, but never fully realized how much of a boost engineering is to agriculture. I think it's great if we can implement new technology that will make life on the farm or ranch easier." 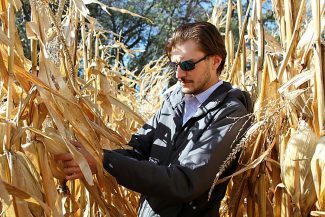 Although his primary interest is physics, Haynes also found value in the ag engineering internship. "It's been a great opportunity to get genuine research experience, which will benefit me later in my career, no matter what profession I choose," Haynes said. "One of the most important things I learned is to be very careful when collecting data because there are all sorts of things that can change the results. Not being methodical can ruin the entire data collection, and it's crucial in these types of studies to provide an accurate representation." A graduate of Mullen High School, Christen is attending NPCC on a basketball scholarship before transferring to either UNL or the University of Wyoming to continue his engineering studies. Haynes is originally from Georgia. He moved around a lot before discovering North Platte where he decided to stay. "There are better opportunities here than many of the other places I've been," Haynes said. "The college is my favorite part of North Platte. It's convenient. It's affordable, and the instructors are genuinely supportive. They care about your progress, want to see you succeed and will take the time to help you do that." Haynes plans to transfer to the University of Colorado Boulder after graduating from NPCC. His dream is to one day become a physics instructor — possibly at a community college because of the positive experience he has had.